Free-to-play, not pay-to-win! That’s what the placards would read, if gamer protests were something that happened on the streets of London rather than the alleyways of Reddit. SOE president John Smedley agrees, and cites League of Legends as the payment model standard to beat for his studio’s Planetside 2. When asked about resistance to free-to-play from sceptical gamers on Twitter, Smedley pointed to Riot Games’ MOBA as a positive example: “Look at LoL. It’s great. We modeled our F2p after them. 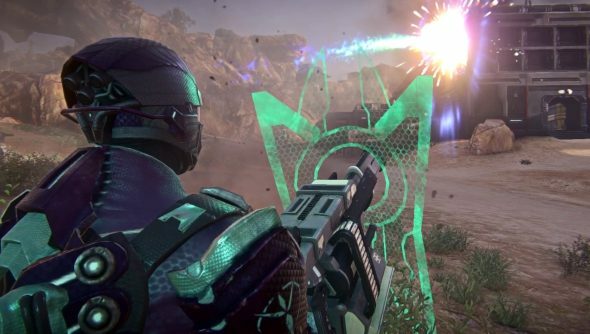 Planetside 2’s beta is imminent, so it’s good to be able to calm our quivering wallets before the storm hits. Free-to-play, little coin-purse. Not pay-to-win.